JavaFX's Application class is an essential part of every JavaFX application. Learn about the various capabilities that Application makes available. Java's interface language feature often puzzles newcomers to this language. Jeff eliminates this mystery by presenting the six roles that interfaces play in the Java language. 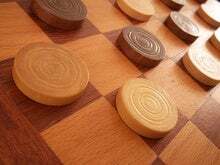 Explore the design and implementation of a Swing-based library that provides the user interface for the game of checkers. JavaFX 8u40 added support for accessibility, standard and custom dialogs, a spinner control, and text formatting. Learn about these new capabilities in this installment of Java Q&A. Test out these recipes for obtaining paths and retrieving path information, testing files and directories, and working with attributes in NIO.2. What do you need to know about using invokedynamic and the java.lang.invoke API package in Java 7 and Java 8? Swing's javax.swing.JList component and JavaFX's javafx.scene.control.ListView control let you customize how their various cells are rendered. In this post, I show you how to accomplish these tasks. This post completes a three-part series in which I present and answer questions about Object and its methods. Java beginners are invited to dig deeper into Java's ultimate superclass with this introduction to Object's finalize(), getClass(), and hashCode() methods. This post launches a three-part series in which I present and answer questions about Object and its methods. Simple utility applications can be very helpful to Java developers. For example, you might need an application that generates a hexadecimal listing of a binary file. The Java language's transient keyword isn't as well known as for , class , synchronized , and other familiar keywords; which makes it a perfect candidate for inclusion in a job interview questionnaire. Welcome to Java Q&A . In this new blog, I answer all kinds of technical questions related to Java. Each post presents one or more Java questions (based on a theme) and offers answers.